Took my car to CG on Saturday for a Porsche Clinic slot with Chris and as always, enjoyable and informative, especially as it was first time there with the GT3. It had been set to factory a few months ago, but obviously CG is another level of scrutiny. 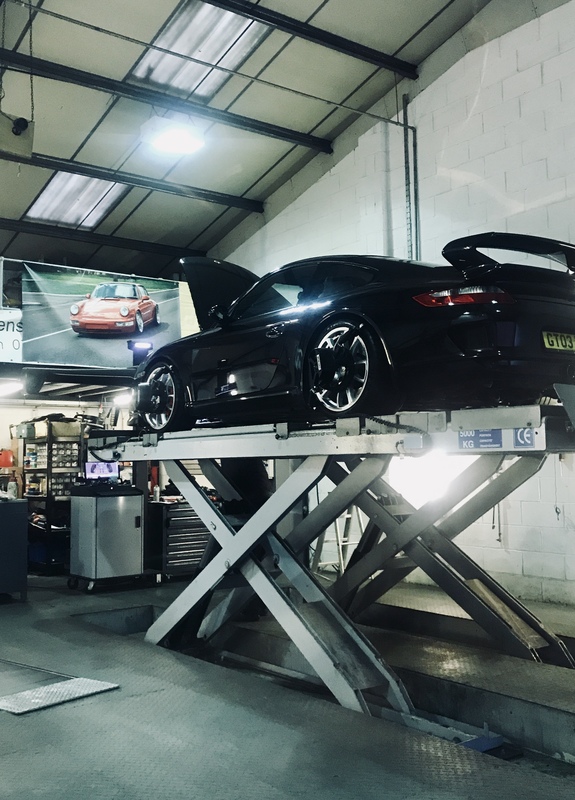 As a result I will be back in a couple of weeks for an inner rod end and toe control arm, plus geo and ride height set up for mainly A/B road use (i.e. not track or grand tourer) and potentially new front springs. I'm happy to take CG's recommendations but do have a couple of questions that people here might have a view on. The car has been in track mode at some point of its life (CG think this may have been under the care of Fearnsport) and whilst the front top mount holes and arb holes being used now are road mode, there are additional shims on the front that widen the track by 8mm beyond factory each side, which has dropped the ride height by 10mm and may be why the negative camber is nearer 2 degrees rather than the 1.30 I thought it had be set to. CG intend to reduce the shims to factory as they think it unbalances the overall set up with toe etc. (Im not sure of that detail), but I think Ive read that the 7.2 has a wider track and is all the better for it in terms of turn-in and less understeer? Second question is the front springs which are working fine but have some paint-loss/corrosion at their mounting points. CG say that its up to me to have these replaced or not whilst the car is in as they cannot say when they will break, but that chances are increased, if they do, the geo would need doing again. Im inclined to have them done (it adds £420 to the bill!) but just wondered if it's a little OTT, this type of corrosion is common and cars are fine with it for some time? Many thanks for any views. A wider front track does allow for benefits that the factory RS and CUP cars have. Improves front grip, sharper turn in and a better front balance. Also there are improvements in the brakes from an increase in the platform. Wider track ain’t such a bad thing as long as its not compromising the camber. At less the 2 degrees i would imagine it feels ok. Factory is 1’30” i think. Id get the springs done personally. Thanks, yes, 1’30” is what it was set at last year but it was nearly 2 on Saturday, so perhaps camber is being compromised. Front ride height was 10mm low (rear was spot on) analogy being a picnic table lowering as the legs spread, but that’s easily solved even if the shims stay. Yeah, I’ll get the springs done, will be a nagging doubt if not. I waws up with Chris last Thursday to have my fron shocks overhauled. He mentioned to me about getting a DSC box to make it a bit softer/complient on our roads. How do you find the DCS box on your GT3. 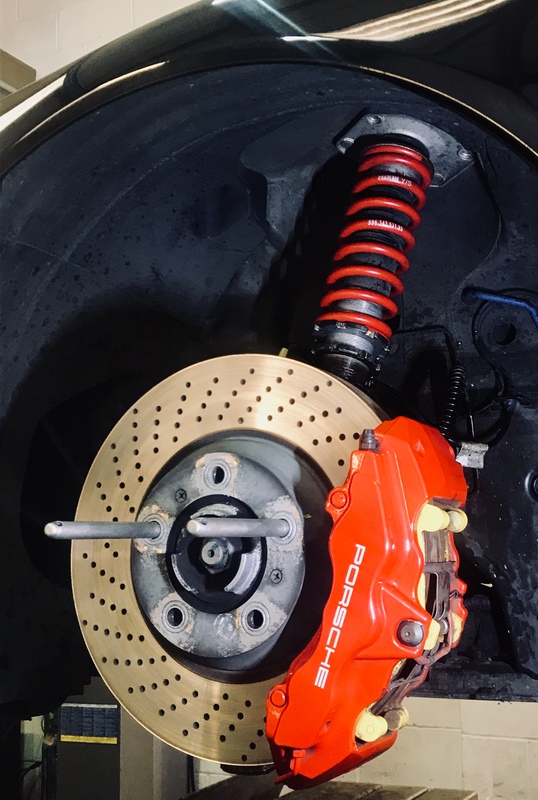 It feels less brittle/more supple in normal driving, but when pushing on it's feels flatter and grippier, with less bounce because the DSC makes the dampers harden and soften more quickly in reaction to the cornering, braking and acceleration forces. I have to qualify this as being all due to the DSC as my car is now set to have less tension in it mechanically, ride heights are at the top of OEM and the ARBs are set soft, with Chris saying this all makes helps the chassis to breathe. When I track the car, I have their suggestion for what holes to put the arbs in and can use the firm setting on the PASM.